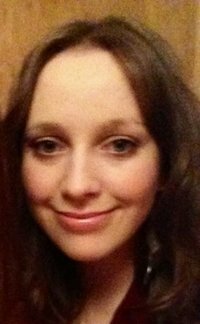 Hi, my name is Hannah and I enjoy helping students improve in Psychology and Maths and gain confidence in their abilities. I live in Yate and do not drive. As such, if you live too far away it is unfortunate that I will not be able to tutor you. When only a few sessions are required, I may be able to provide tutoring in Bristol. I graduated with a first in BSc Psychology. My degree covered many different topics, from development to mental health to research methods. I also completed AQA Psychology A when I was studying for my own A-Levels. In the last year, I have been writing educational resources for the new specification. As such, I am very familiar with the new teaching specification and any new requirements. I would be happy to assist A-level Psychology students. I am most familiar with the AQA Psychology A specification but would be able to help with other specifications. If you are studying for a degree in Psychology or a related discipline, I would be able to help you with planning your coursework, proofreading and preparing for exams. My degree did involve areas of maths, especially statistics, I have also studied A-Level maths. I specialise in helping students obtain that all important C-grade in GCSE maths. I think that any student who needs support or extra practice will benefit from one-on-one tuition. I think many students feel like they can't do maths but in reality they just need more time and practice than the classroom environment can provide. I love watching my tutees' confidence grow as they start to understand topics they once found difficult. I have helped students from KS3 - Degree Level improve their skills in Psychology and Maths. I have never formally taught but I find that my approach is very suitable for 1-2-1 tutoring. What I’ve learnt over time is that the key to increased understanding is adapting your approach to suit the person. Not everyone works the same way and reiterating the same methods doesn’t help and is frustrating for the student. I try to phrase things in different ways, use different examples or methodology, in order to change the way the student sees the problem. My daughter feels more confident already with Hannah as her tutor and is at last making progress in Gsce Maths. Hannah is friendly, approachable and patient. Hannah is very reliable and professional. She has been a huge help to my son so far even though he has only had two sessions. She has boosted his confidence, and is proving to be an excellent tutor. Hannah had been tutoring me for the past two months in Maths. I have learnt more in the past two months, than I ever did in school! Hannah makes sure you understand the subject before moving on, and is more than happy to go back over things if you feel you need to. She lets you choose what you want to do rather than just having modules forced upon you, which I really liked! She is easy to talk to and has a very friendly nature about her. I never felt like it was a strict and boring two hours, In fact the two hours always flew by!